Having lived and worked in Kenya for most of my life, I thought I knew a lot about the Microfinance space in the country. Well, all that changed when I joined VisionFund Kenya as a Kiva fellow a few months ago. For the last 2 months I have met borrowers who had very beautiful stories to share. Most of them - mainly wives and mothers - have benefited from VisionFund Kenya’s emphasis on providing loans to women. They remain grateful for the partnership between VisionFund Kenya and Kiva that enables them to access credit to expand their businesses. The end result is improved living conditions for their families, with most of them being able to provide good education for their children. 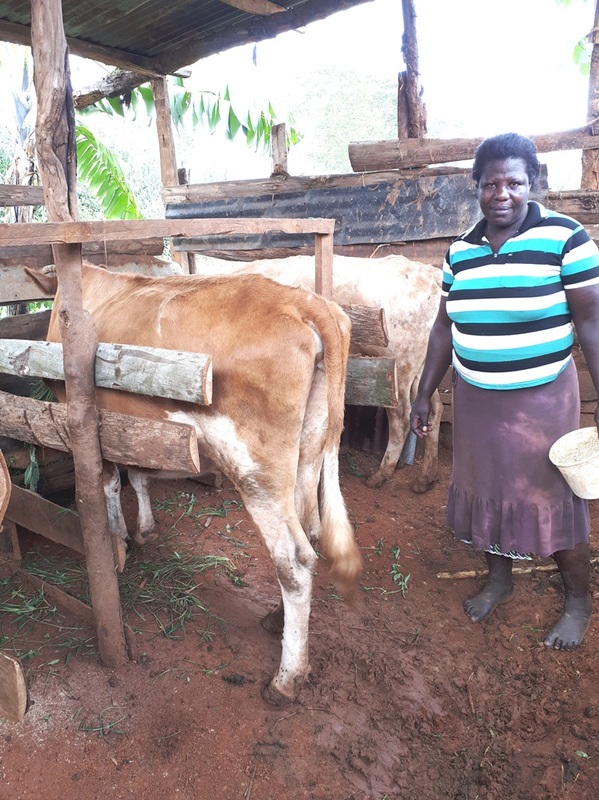 Most of VisionFund Kenya's borrowers in the Riftvalley region of Kenya practice dairy farming. Below is an image of one named Mary. Mary is a dairy farmer who uses proceeds from milk selling to educate her children. 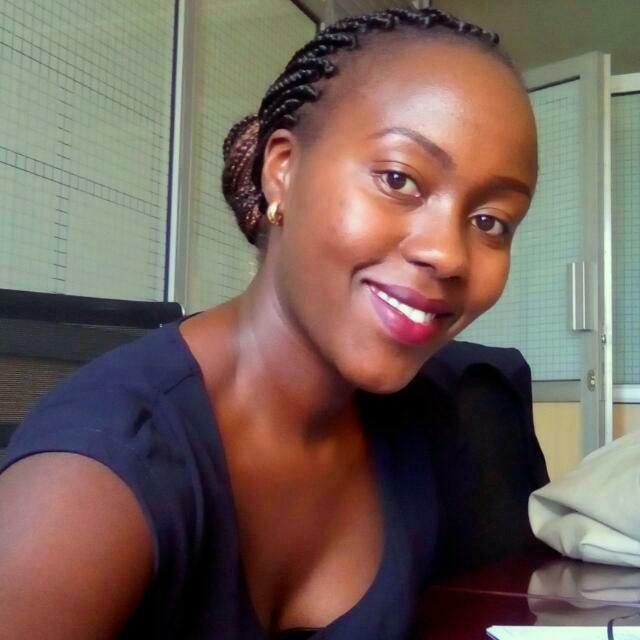 Monica, another borrower, is a mother of one. 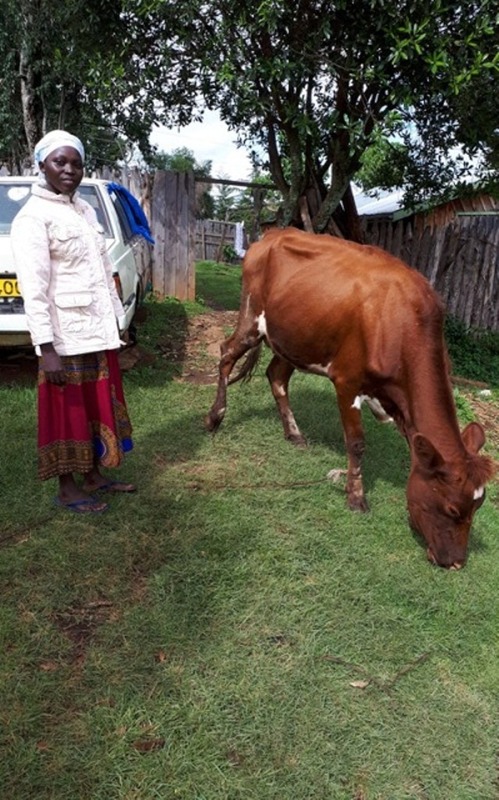 Below is an image of her and the cow that she purchased using a Kiva loan. Others borrowers in the same region also farm maize and store their produce to sell at a profit during the dry season. 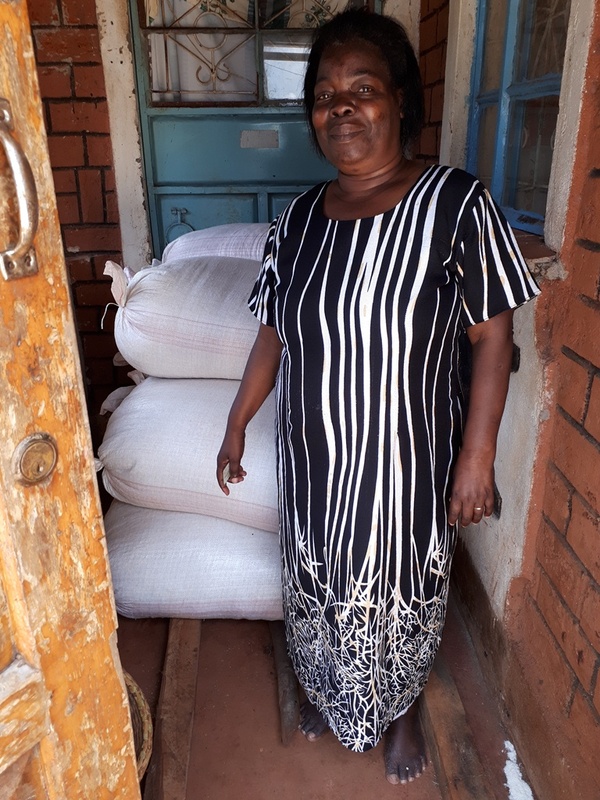 The image below is of Edith, a maize farmer, storing her maize in large sacks for the coming season. And, despite most of its clients being women, there are quite a few men who have credit facilities with VisionFund Kenya as well. 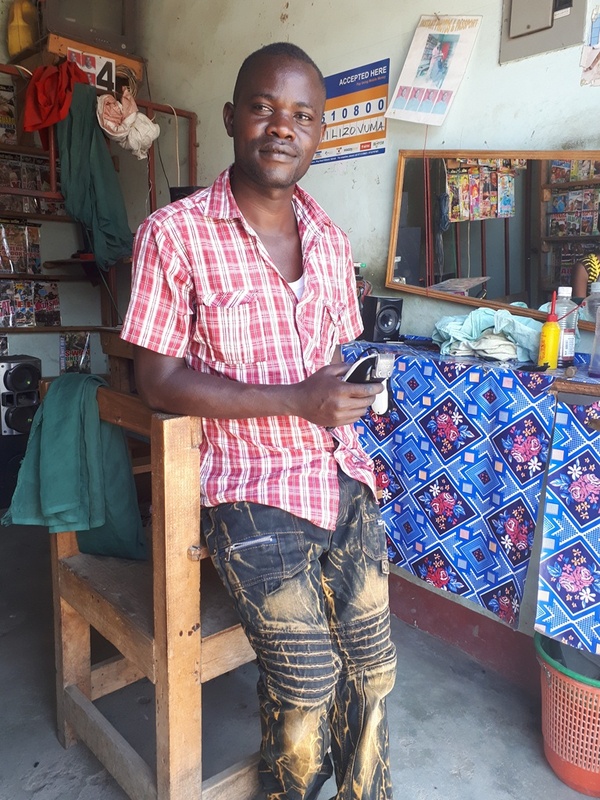 Below is Joseph - a young borrower who owns his own barber shop. All the borrowers I met expressed their gratitude to VisionFund Kenya and Kiva for helping them better their lives and those of their families. My experience at VisionFund Kenya has enriched my knowledge of microfinance and the impact-investing field. To learn more about VisionFund Kenya, click here. To support VisionFund's efforts to better the lives of children, click here.